illegal immigration | Inertia Wins! 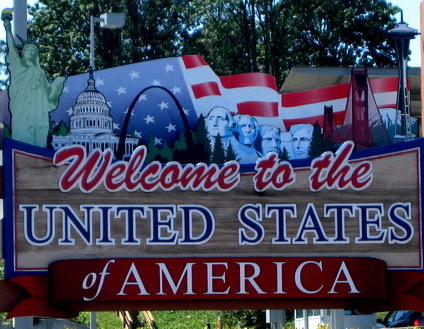 Immigration law is second in complexity only to the income tax. In a new CEI paper, Policy Analyst Alex Nowrasteh proposes scrapping the whole thing and replacing it with a tariff. This is a much more humane approach to immigration, and in many cases will be less expensive for immigrants than the lawyers and fees they currently have to pay while they live in legal limbo. A tariff would also reduce illegal immigration by eliminating black markets. Money that currently goes to illegal smugglers and human traffickers could instead go to the U.S. Treasury. The idea can appeal to both the left and the right. One of the problems with current immigration laws is that they raise the price of immigrating legally. Basic economics tells us that when something costs more, people consume less of it. That’s why so many of America’s immigrants are turning to dangerous but cheap immigration black markets to enter the country. This is a problem with an obvious solution. In today’s American Spectator, Alex Nowrasteh and I make the case that lowering the cost of legal immigration through liberalization will reduce the amount of illegal immigration, and shrink cruel black markets. -New rules that came into effect this month, such as raising the minimum wage for H-2A visa holders (that’s the visa for low-skilled agricultural workers) makes cheaper undocumented workers look more attractive for employers. They actually harm legal workers. -Other new regulations, including background checks, workplace inspections, and mountains of paperwork, cost thousands of dollars per employee. These regulations also make black market workers look more attractive. -The way to reduce illegal immigration is liberalization. 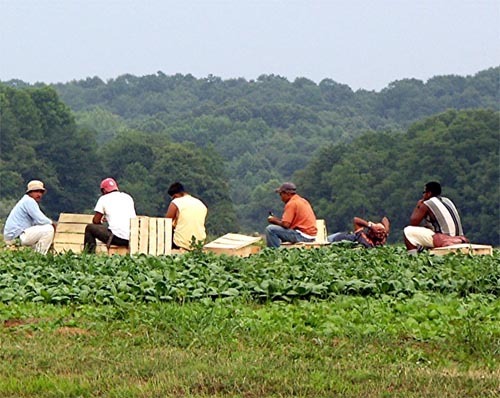 For agricultural workers, that means making their H-2A visas inexpensive, easy to obtain, and keeping the bureaucracy to a minimum. -When legal channels cost too much in time and money, people will turn to illegal channels every time. That’s how the world works. Getting rid of immigration’s black market begins with admitting that fact. If Republicans really believe, as Baker says, that “it doesn’t make any sense’’ to allow illegal immigrants to enjoy the same benefits as other state residents, why stop with in-state tuition? Why not bar them from driving on state highways? From camping in state parks? From using libraries? Of course illegal immigration is a problem. But it can only be solved by overhauling our dysfunctional immigration laws, not by demonizing or scapegoating illegal immigrants. Those immigrants didn’t come here in order to be lawbreakers; they broke a law in order to come here. That’s a distinction with a crucial difference – one that sensible and principled conservatives should be able to understand. A point of my own to add: many conservatives say they have no problem with immigration itself. 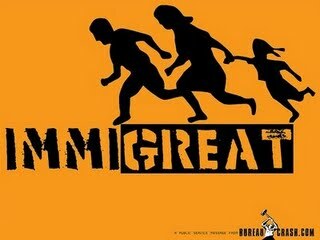 Just illegal immigration. Often, this isn’t actually true. Here’s a thought experiment: suppose the definition of legality were changed overnight. Suppose the twelve million men, women, and children currently here illegally are now, suddenly, legal. People who really are only against illegal immigration will now welcome these new citizens to America with open arms. After all, they’re legal now. That means some factor other than legality plays into their opinion. They shouldn’t be using it as an argument. Maybe they believe that the U.S. is overpopulated (it isn’t). A belief that immigrants consume more public services than they pay for in taxes (in the long run, they don’t). Whatever. Let the intellectual battle over immigration move to those fronts, then. The legality argument is just a smokescreen. It is the triumph of semantics over substance. Immigration is either good or bad for America. This is true whether or not the laws in the books reflect that. That is the substance of the matter. I happen to think immigration is an almost unmitigated blessing. And I will defend that view with logic and data. Not an appeal to a dysfunctional legal code rooted in obsolete Progressive-era thought.